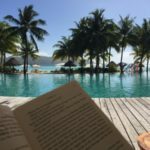 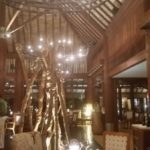 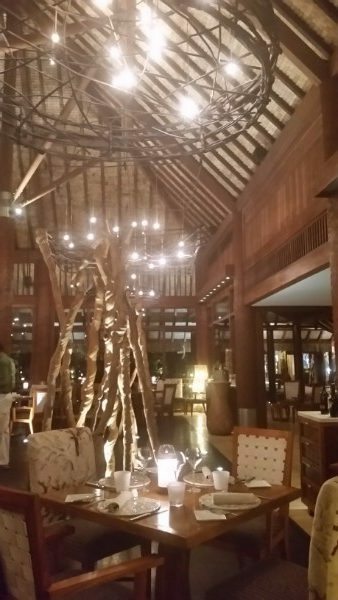 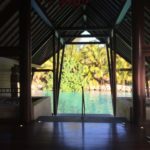 When I first started writing about luxury hotels and resorts, I created a bucketlist of the places I most wanted to visit and experience. 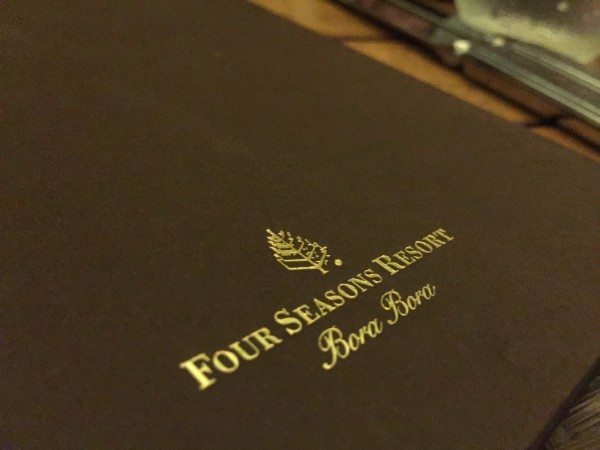 From time to time over the years, I would glance at the list and wonder when I would make it to The Four Seasons Resort Bora Bora. 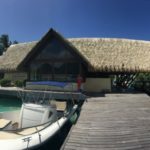 Well, I recently had the fortune of visiting the world famous property, and it was quite worth the wait. 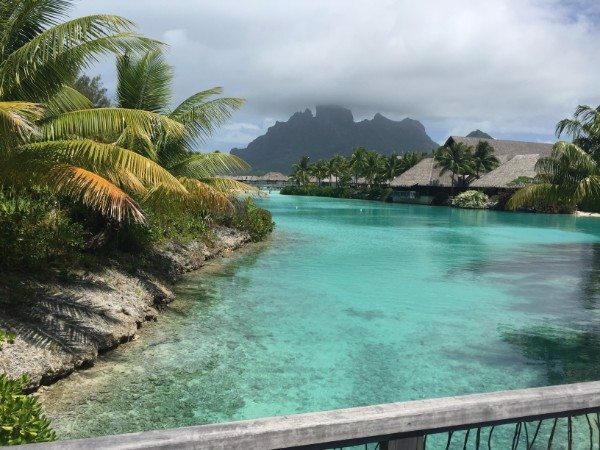 You’ve never seen water so clear as you view Mount Otemanu rising high in the center of Bora Bora. 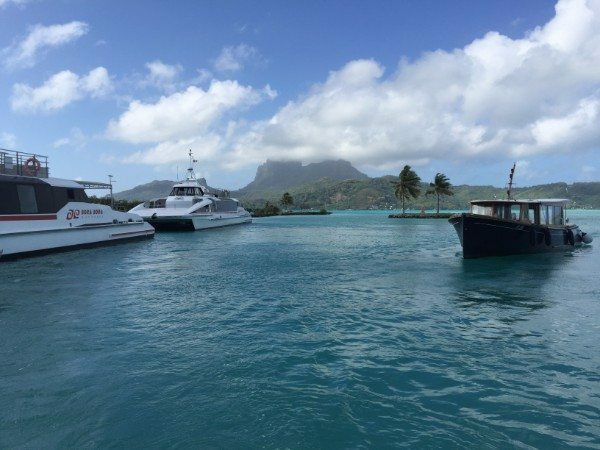 Here are some images of our arrival. 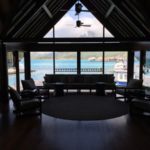 Click Here to view a YouTube video featuring an overview of the property, and Click Here to view a Map of the property. 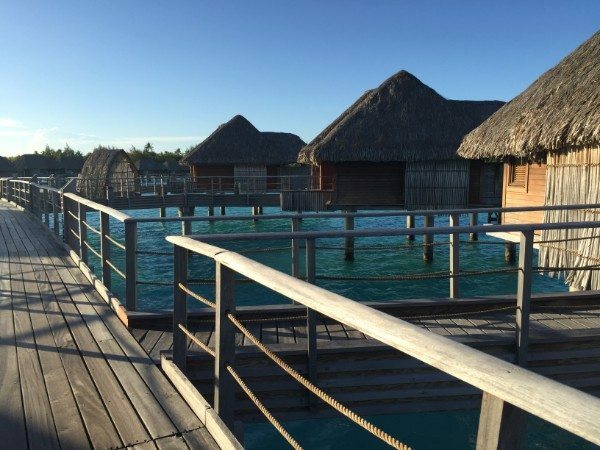 The Four Seasons Resort Bora Bora features 100 Overwater Bungalow Suites, 15 Overwater Bungalow Suites and Beachfront Villa Estates with Private Pools, 5 Pool Cabanas, and 1 Private Island. 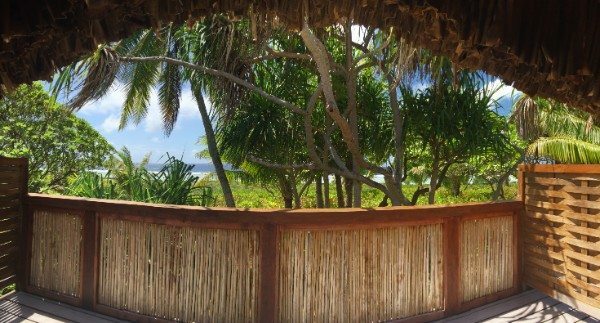 Beachfront Villa Estates come in one, two, or three bedroom configurations. 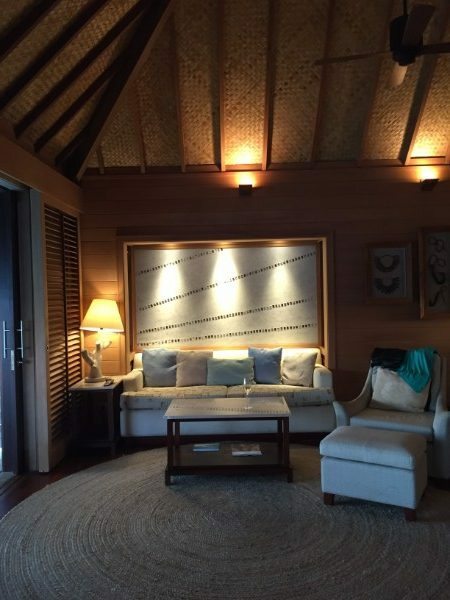 Click Here to view the Three-Bedroom Luxury Beachfront Villa. 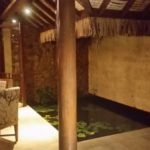 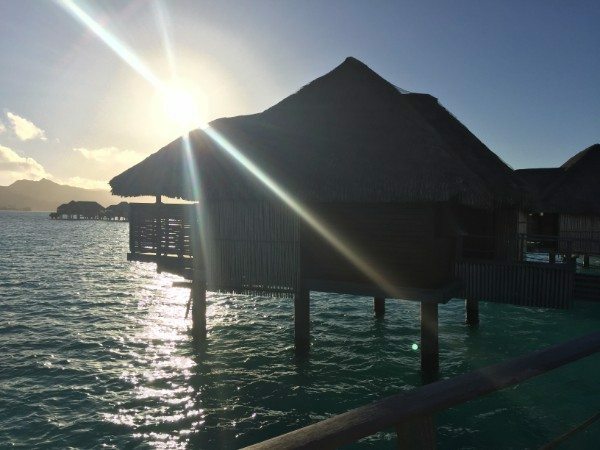 Overwater Bungalow Suites with Private Pools come in four varieties: the Two-Bedroom Poerava, the Two-Bedroom Herenui, the One-Bedroom Otemanu, and the One-Bedroom Overwater. 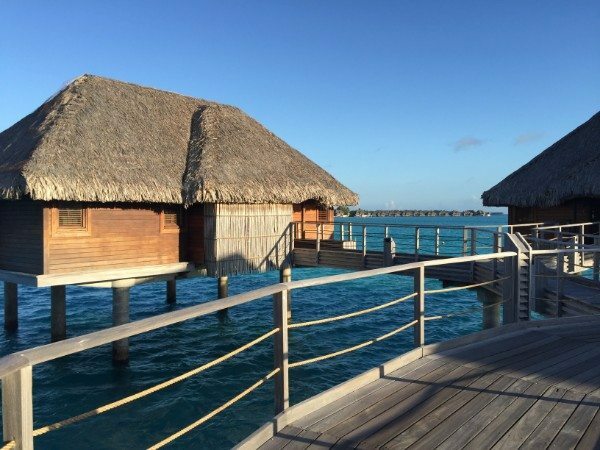 The remaining Overwater Bungalow Suites are one bedroom, and come in three varieties: Mountain-View, Lagoon-View, and Beach-View. 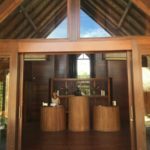 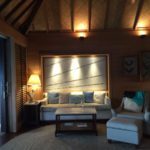 We enjoyed immensely a one-bedroom Mountain-View suite, which was near the tip of the bungalow arrangement that seems to reach out toward Mount Otemanu. 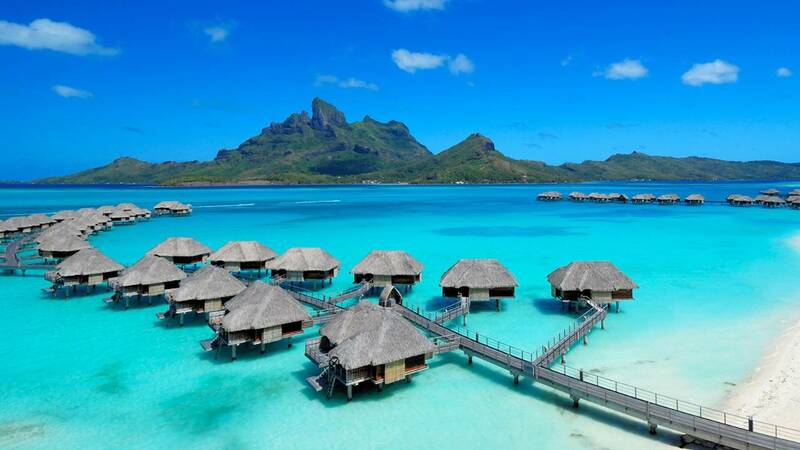 Breathtakingly lovely. 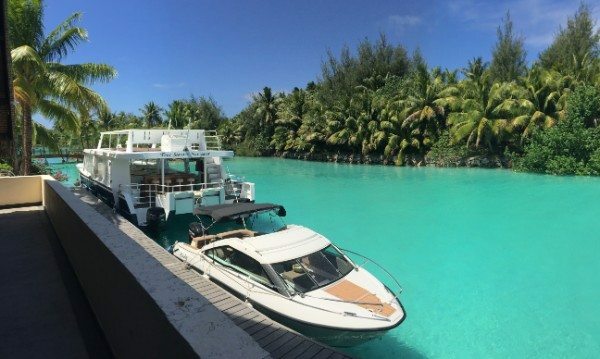 You’ve never seen such blues and greens. 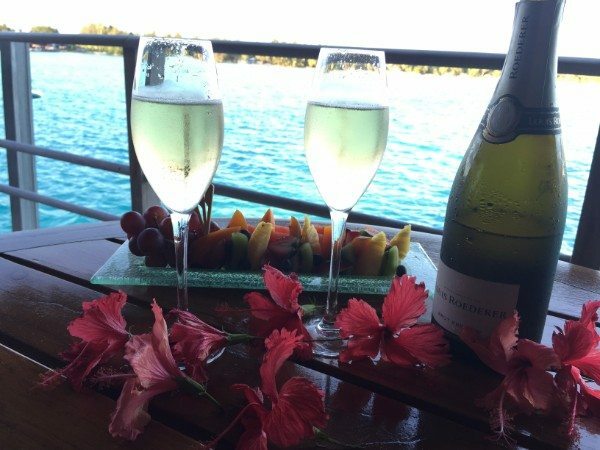 We enjoyed a sublime Champagne toast at sunset. 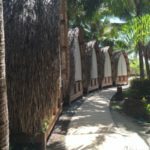 Click Here to view a YouTube video of the various activities available on and around the property. 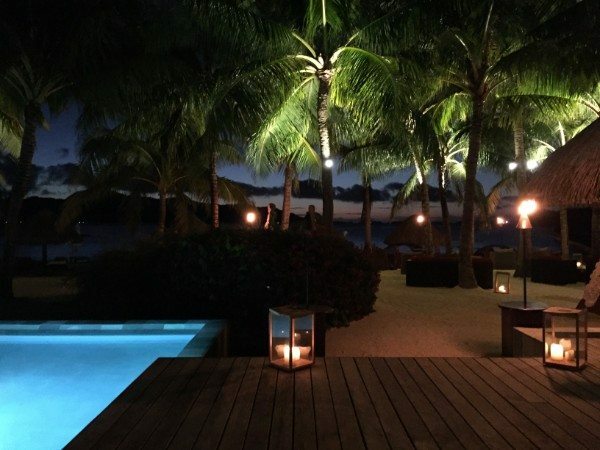 The property is lush, expansive and a feast for the senses. 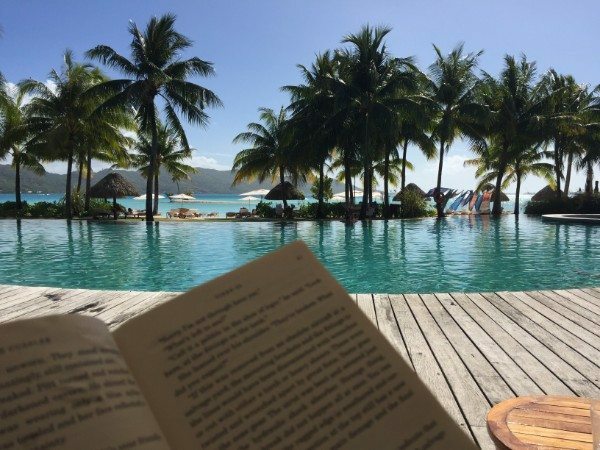 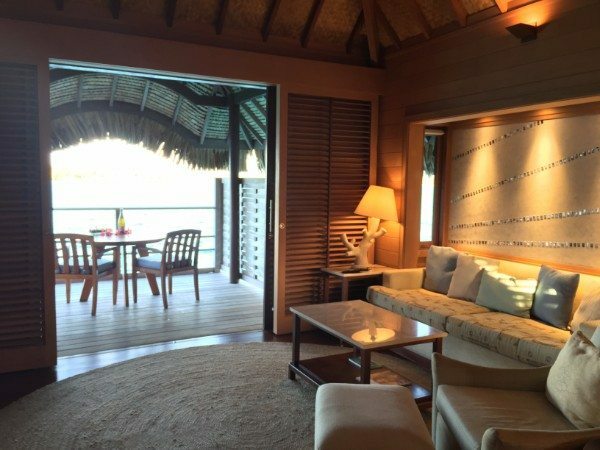 The guest feels transformed to a luxurious paradise, where all experiences are possible. 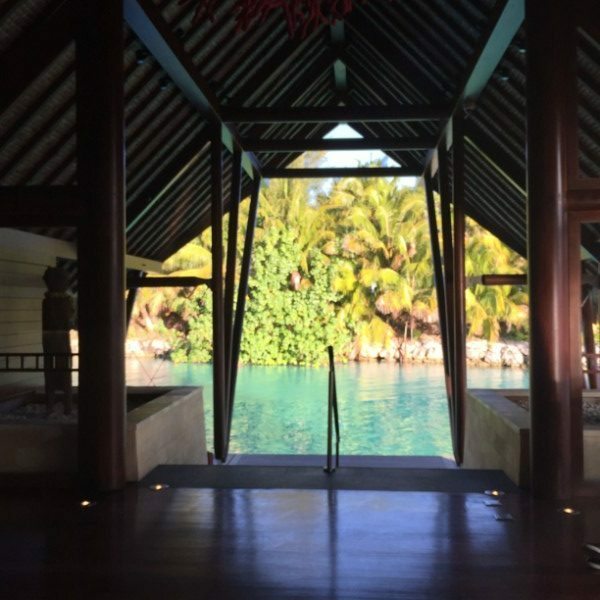 The main pool and surrounding amenities are quite lovely and impressive. 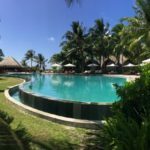 The negative edge pool is vast, and features a wide view of the beach and ocean. 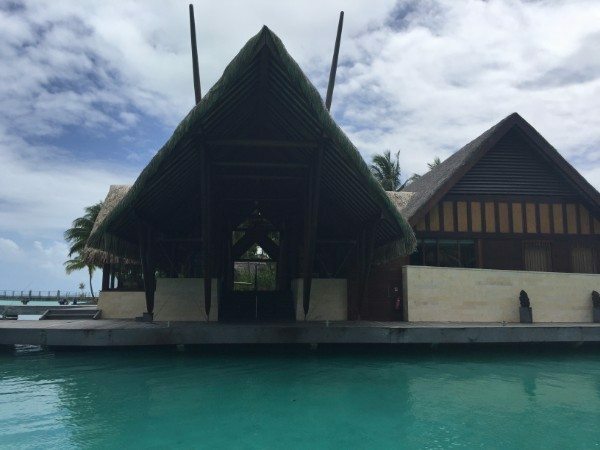 Yet comfort is not far as cabanas frame part of the edge of the pool, and drinks and food are easily ordered close by. 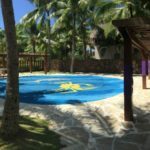 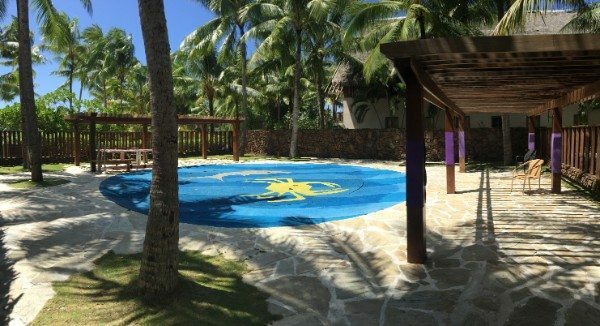 The Kids Splash Pad in the Kids Club is directly behind the cabanas so you can relax while your kids enjoy splashing about. 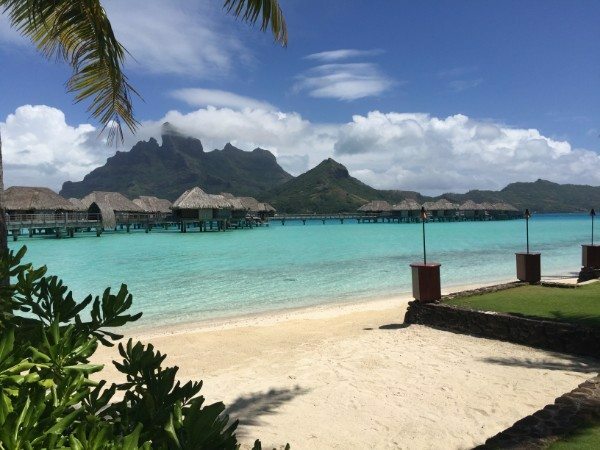 The Four Seasons Resort Bora Bora is one of the most popular and famous Wedding and Honeymoon destinations in the world, offering selected Wedding Venues, Menus and Catering Options, Wedding Planning, and Wedding Packages. 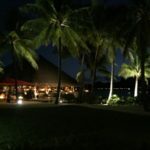 Click Here to view images of Weddings and Ceremonies on property. 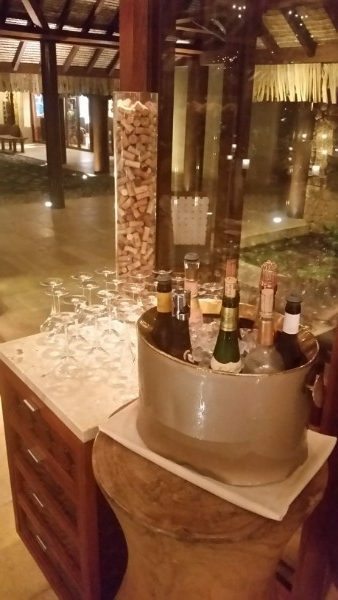 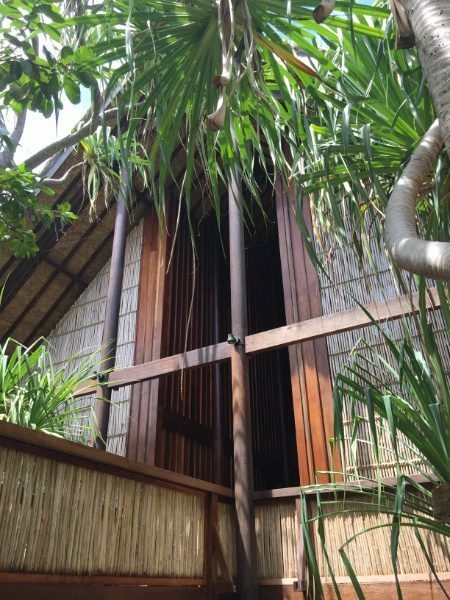 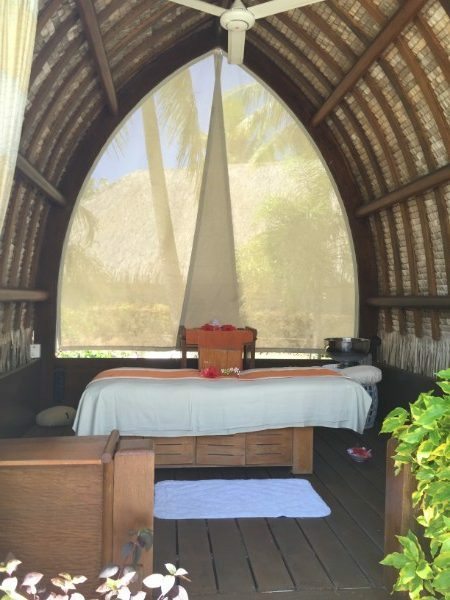 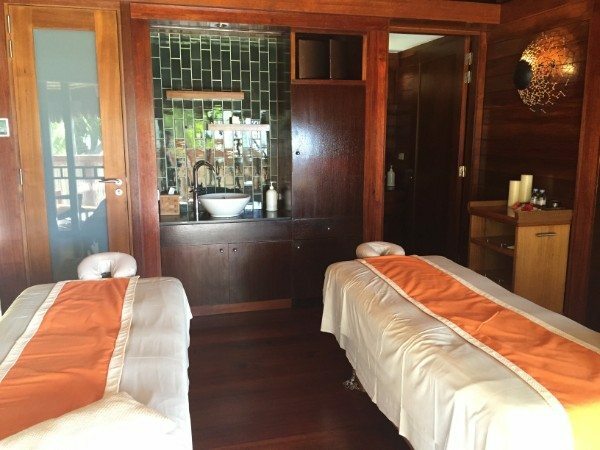 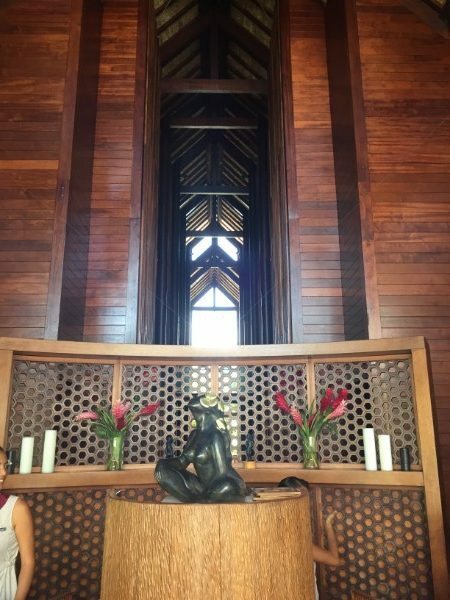 Click Here to view additional images of the Spa, and Click Here to view some of the Spa’s Signature Rituals. 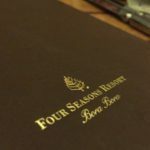 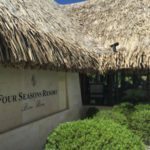 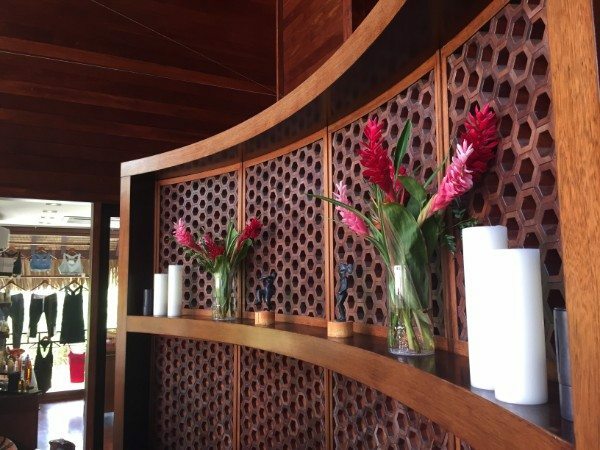 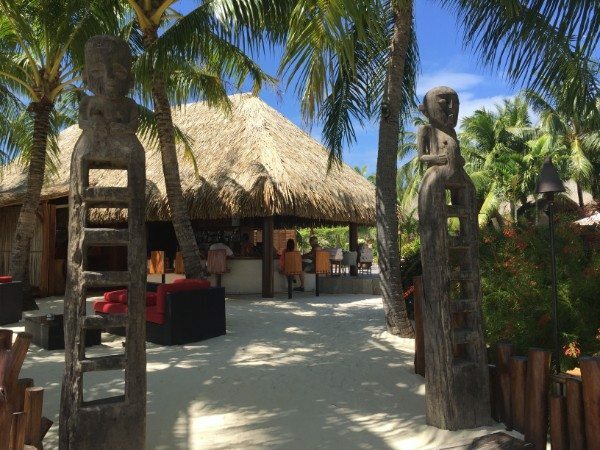 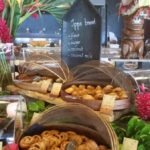 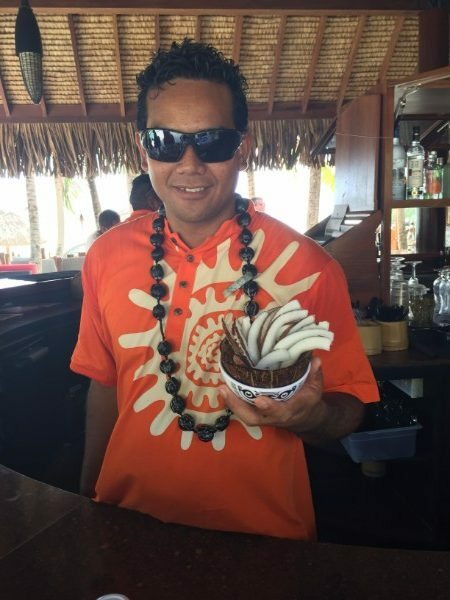 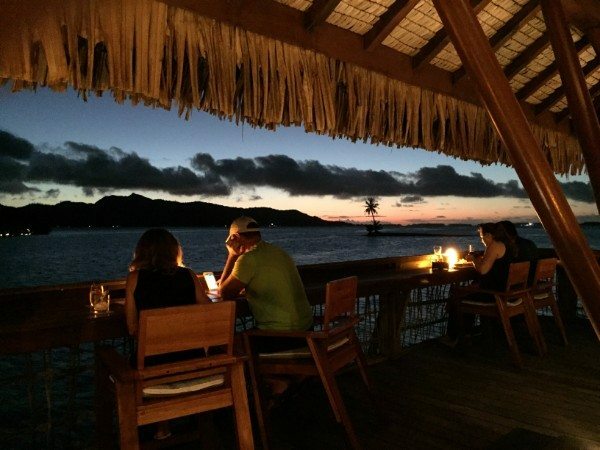 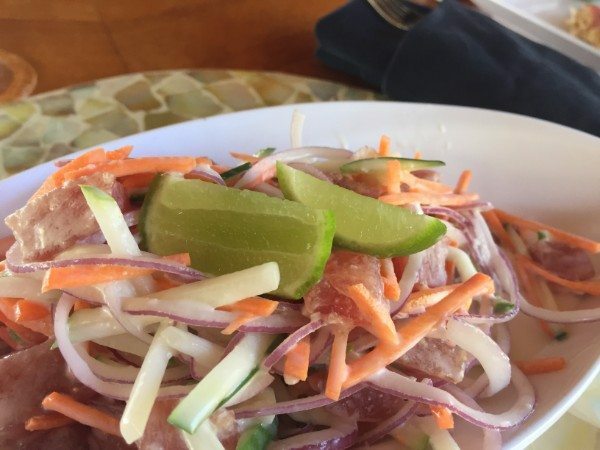 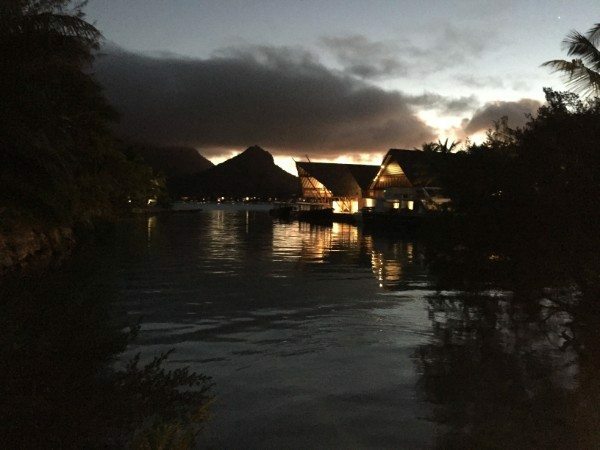 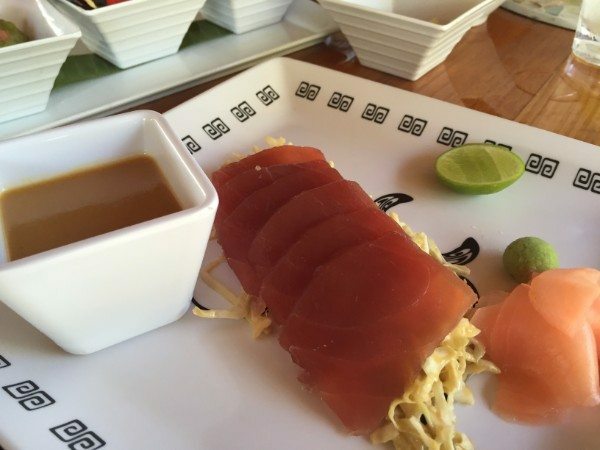 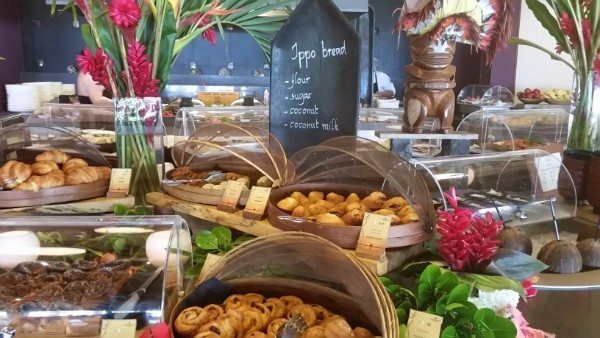 The Four Seasons Resort Bora Bora features a variety of Dining Options, including Arii Moana, Faré Hoa Beach Bar & Grill, Sunset Restaurant & Bar, and Tere Nui. 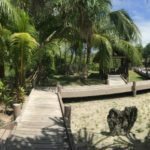 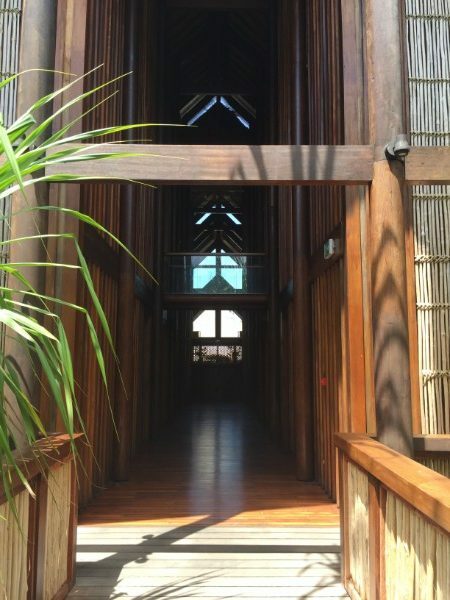 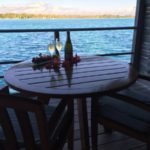 The property also offers unique experiences such as a Canoe Breakfast, the Polynesian Show, and Taurua Romantic Dinners. 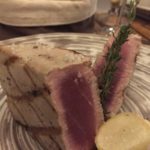 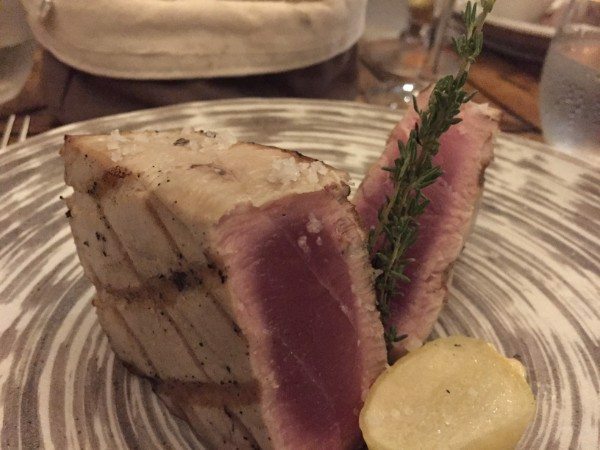 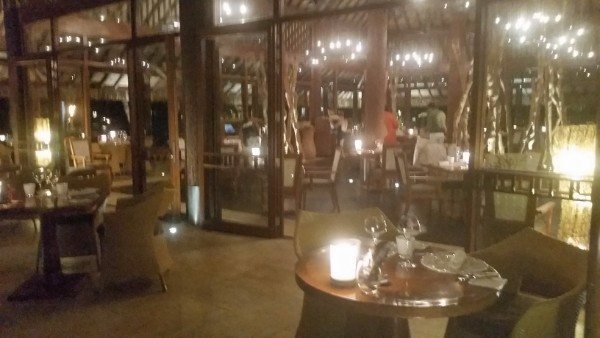 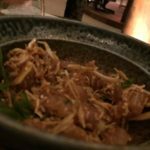 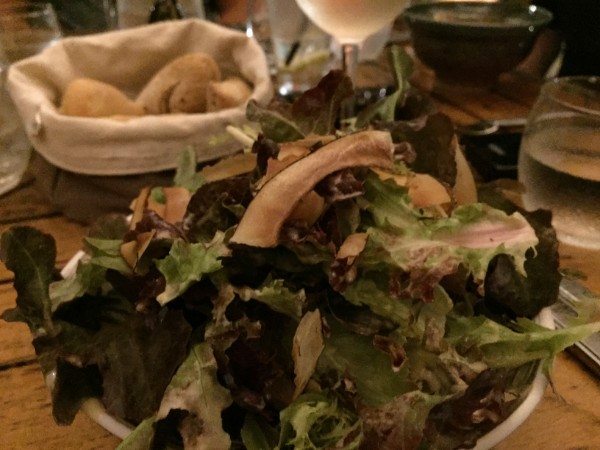 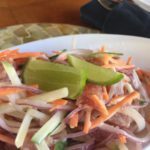 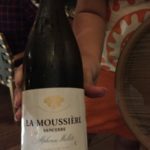 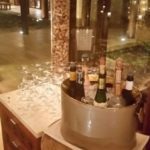 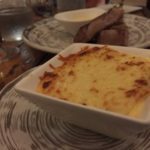 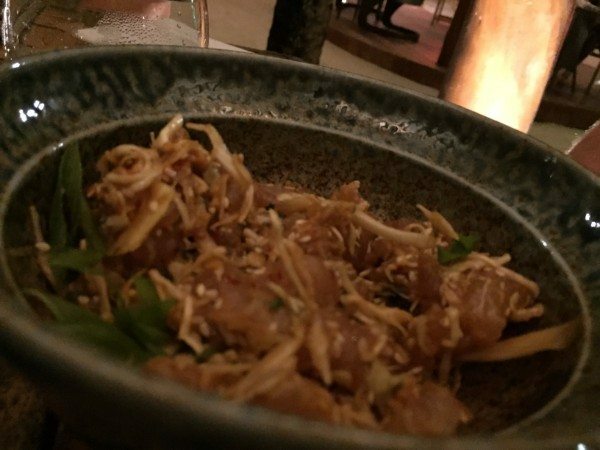 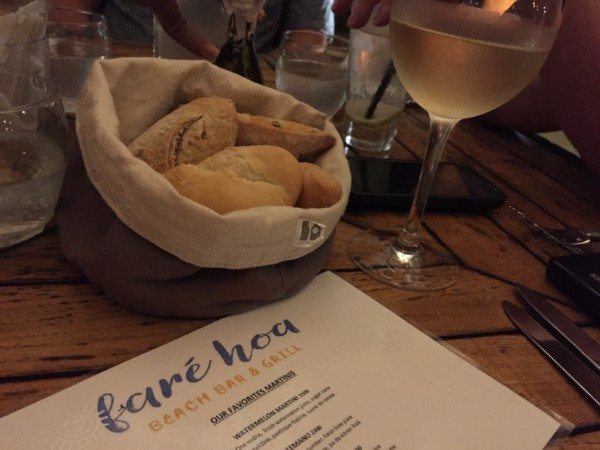 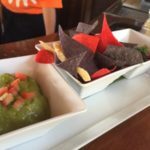 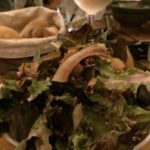 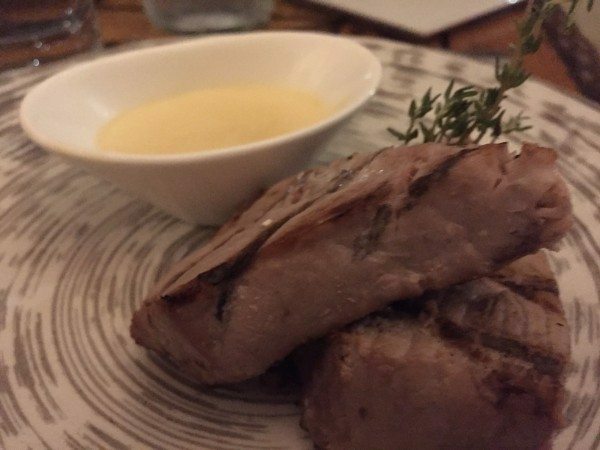 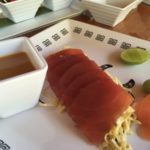 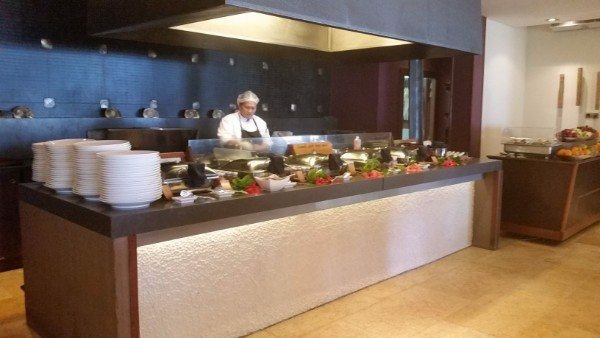 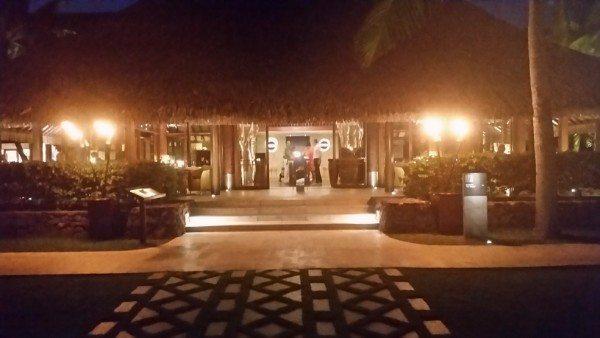 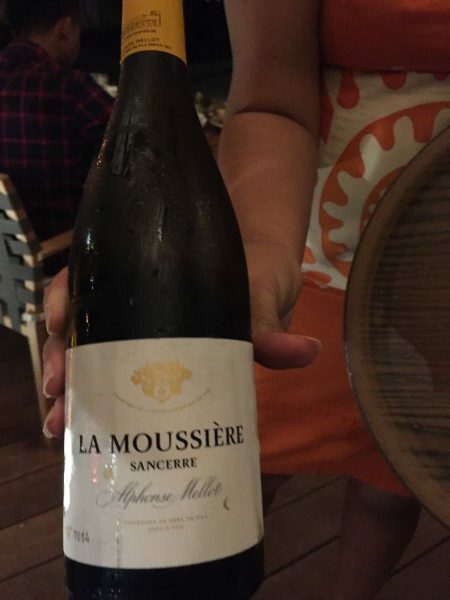 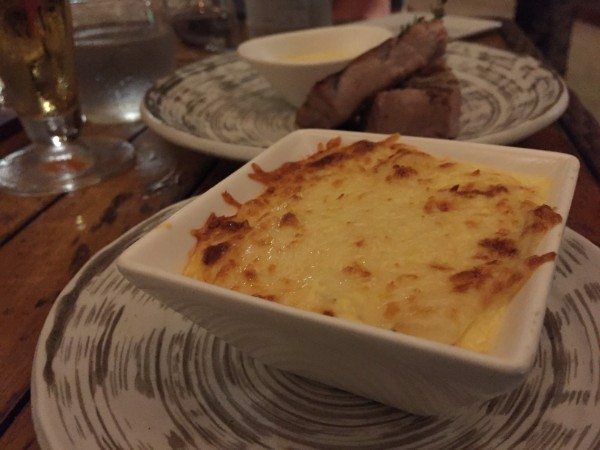 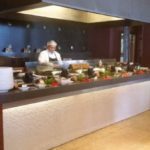 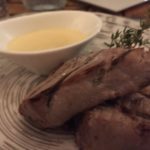 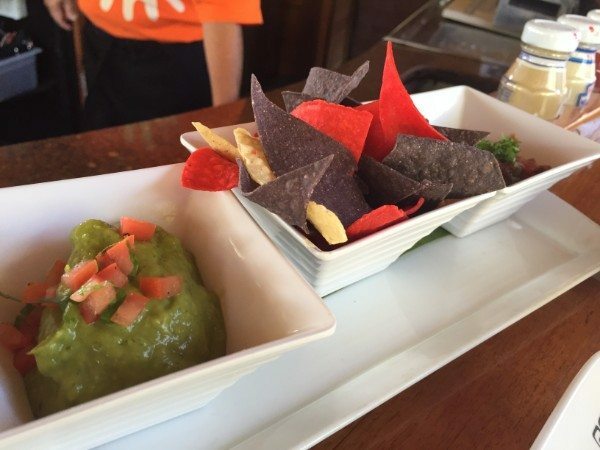 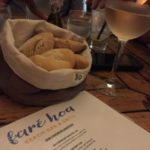 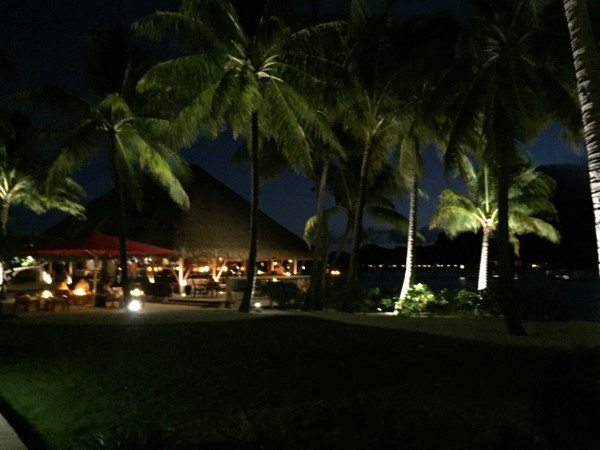 We enjoyed a stellar meal, beachside at the Faré Hoa Beach Bar & Grill. 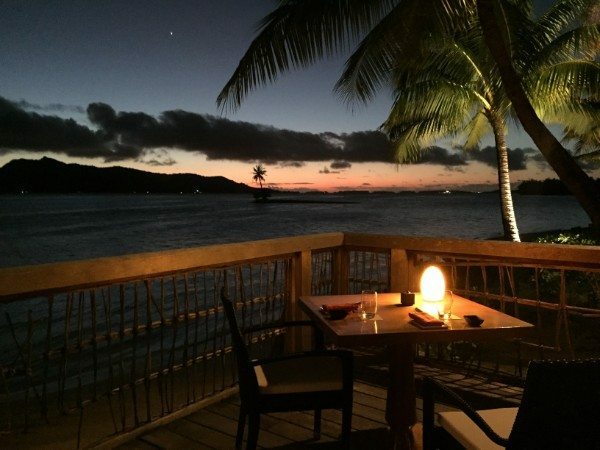 The wind lightly passed through the space, and the moon and stars glistened, casting long reflections across the dark ocean. 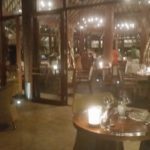 We also were most fortunate to run into a couple who live near us in Scottsdale, and they joined us for dinner! 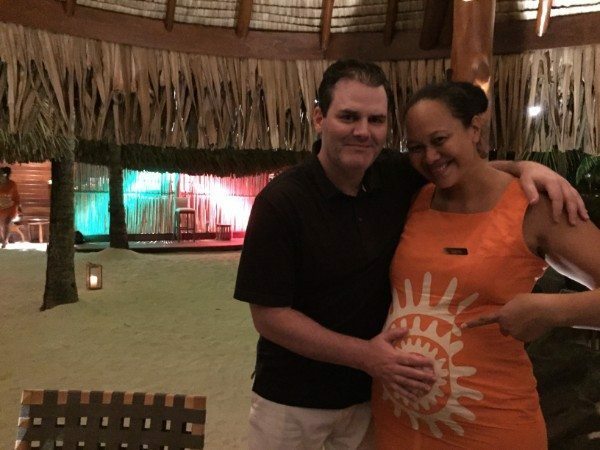 Also, special thanks to our server Joanne, who as you can see was about to pop! 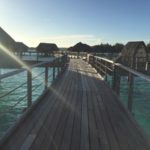 One of my favorite elements of travel is the selection of a destination, and the anticipation of visiting (planning, thinking, researching) enhances the experience. 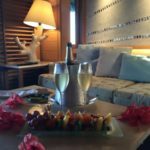 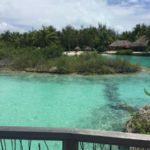 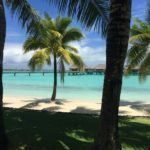 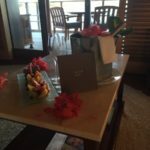 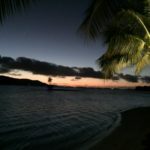 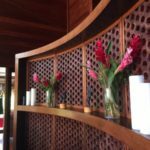 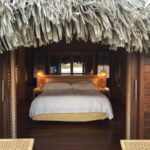 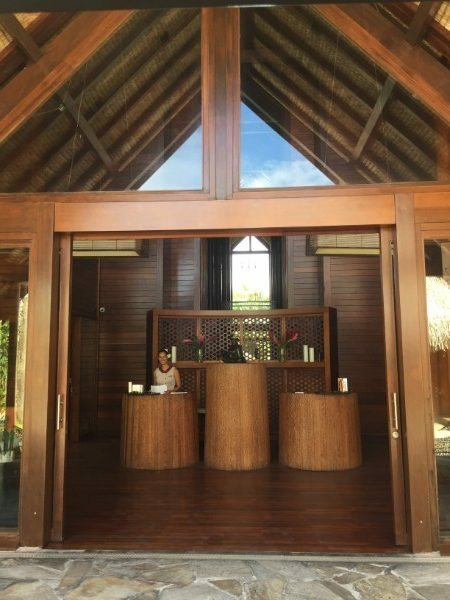 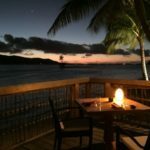 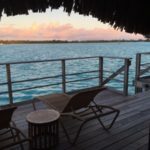 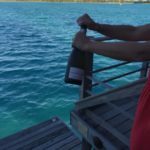 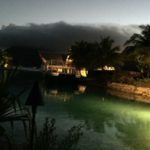 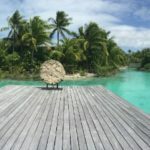 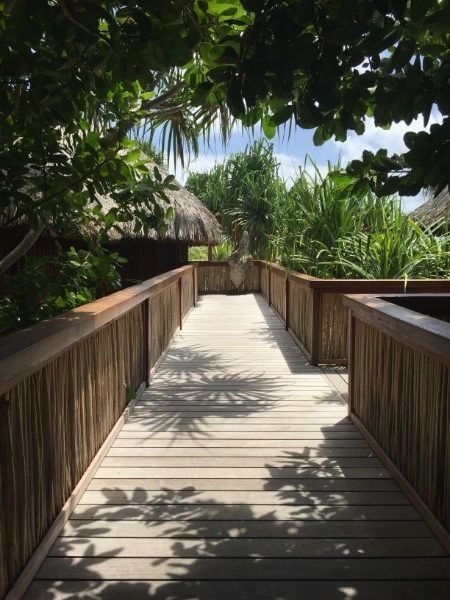 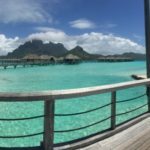 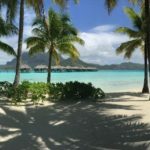 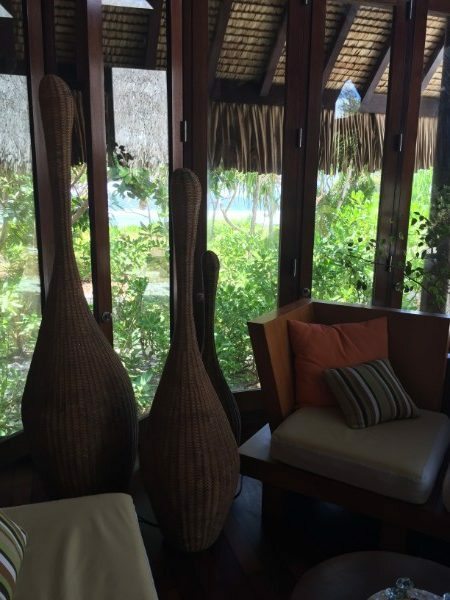 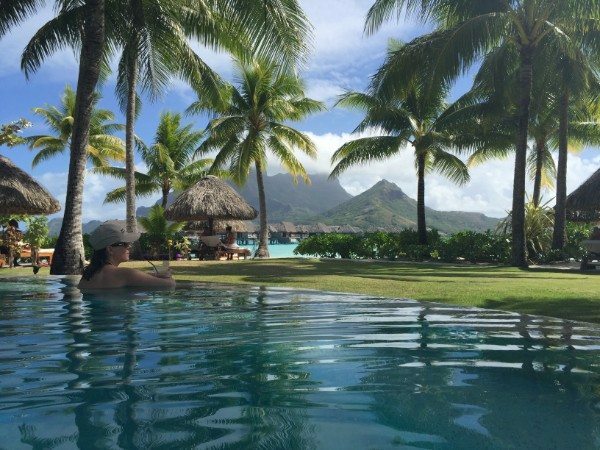 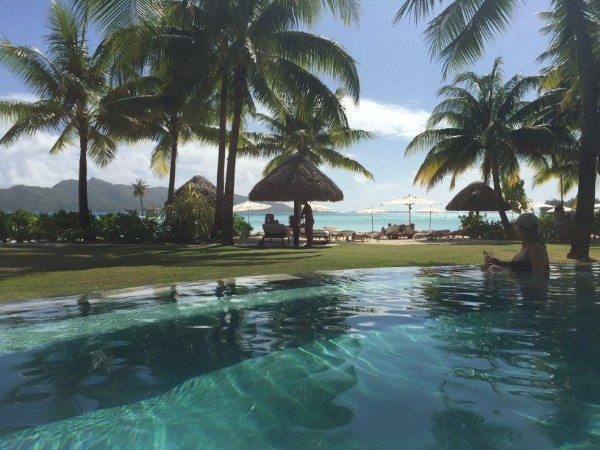 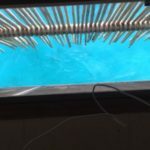 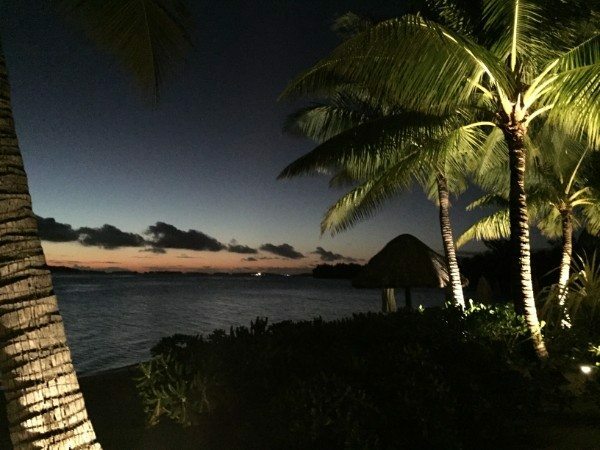 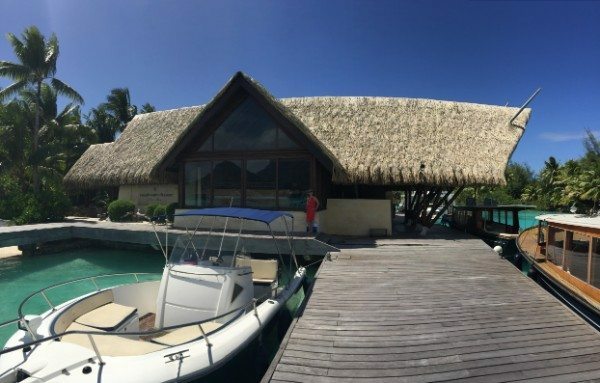 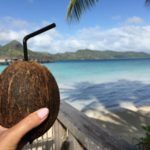 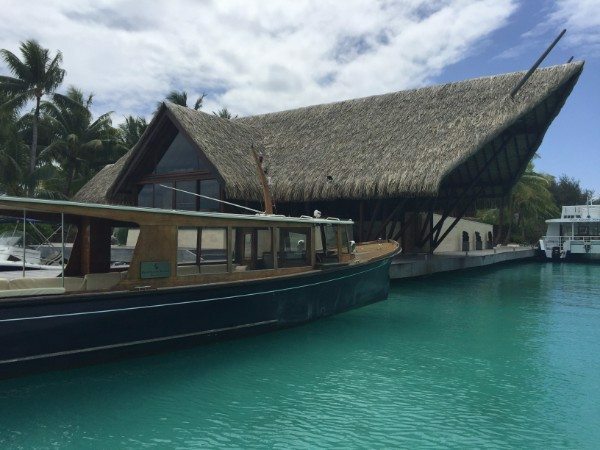 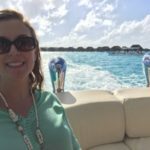 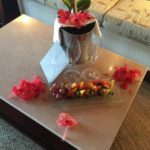 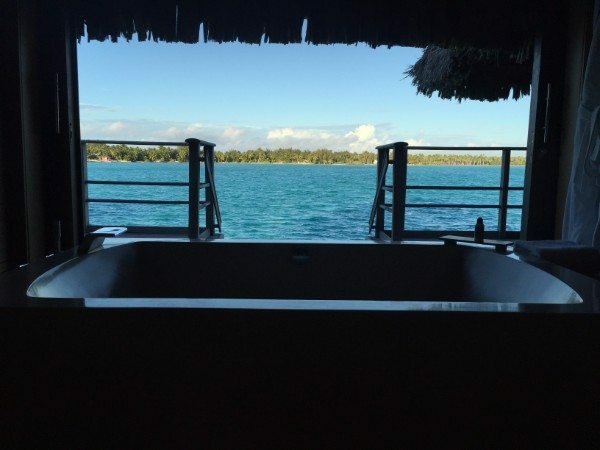 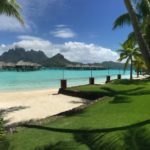 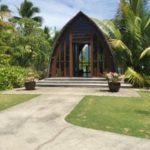 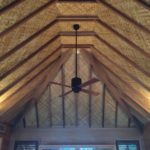 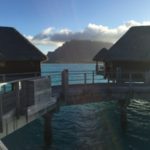 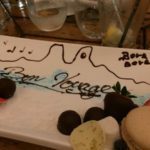 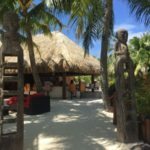 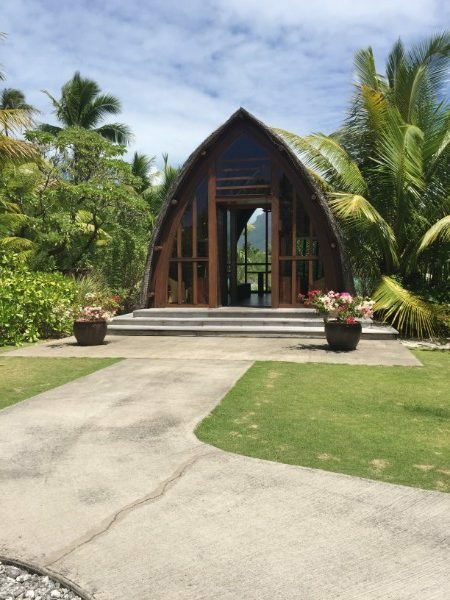 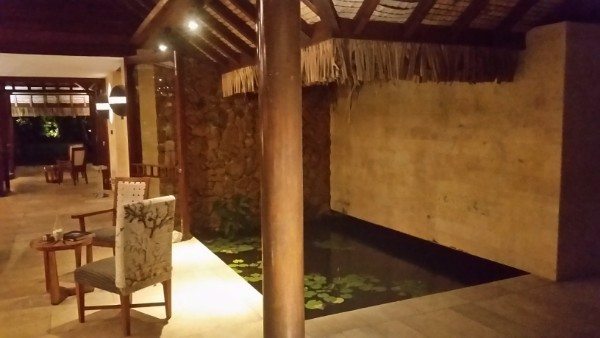 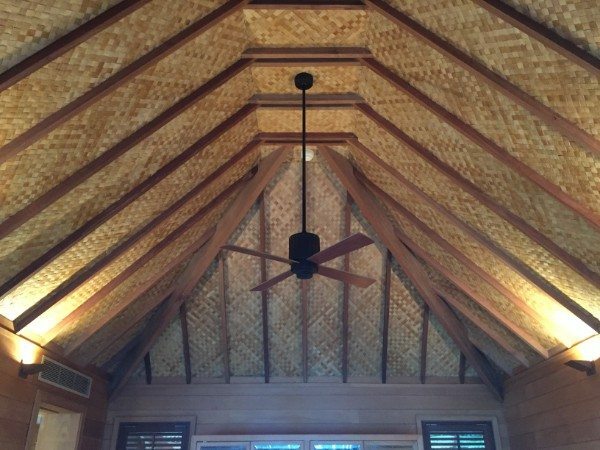 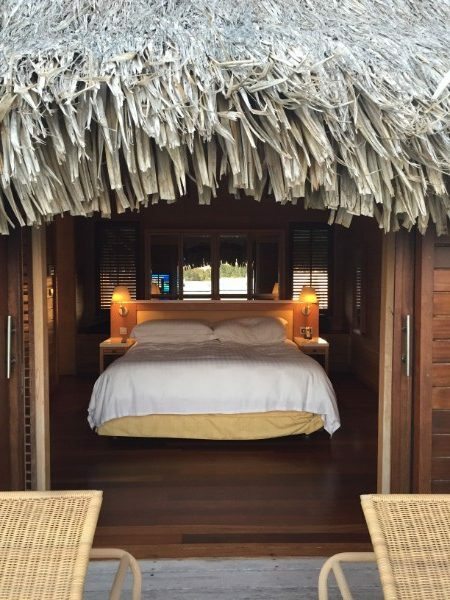 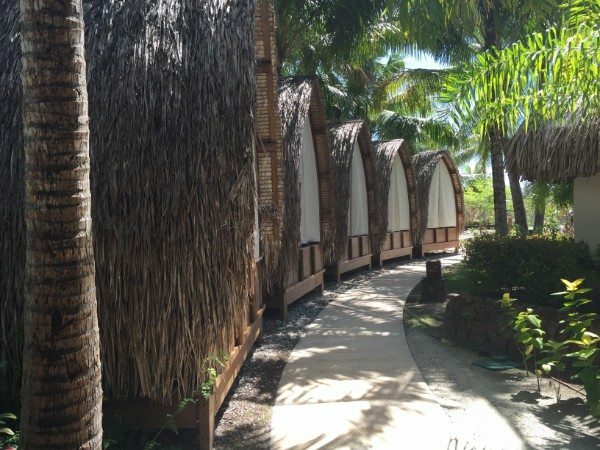 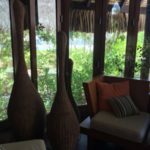 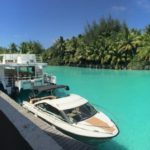 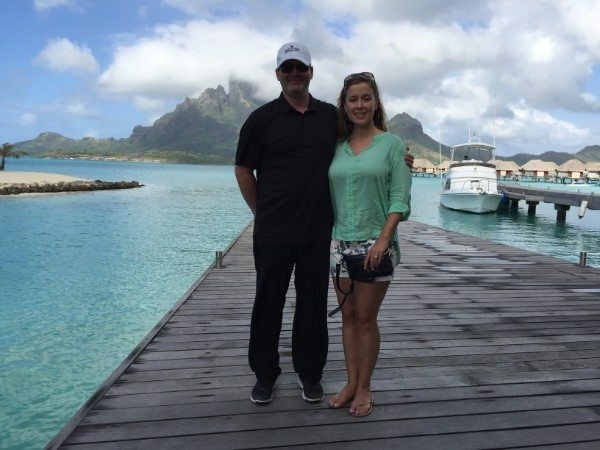 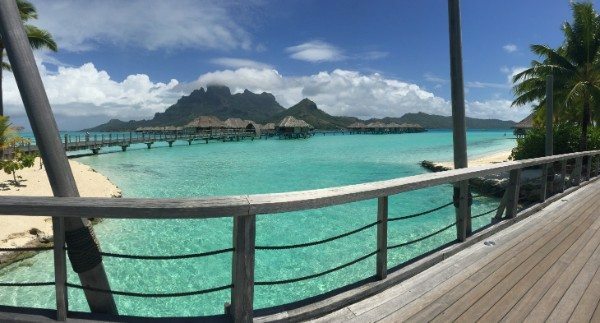 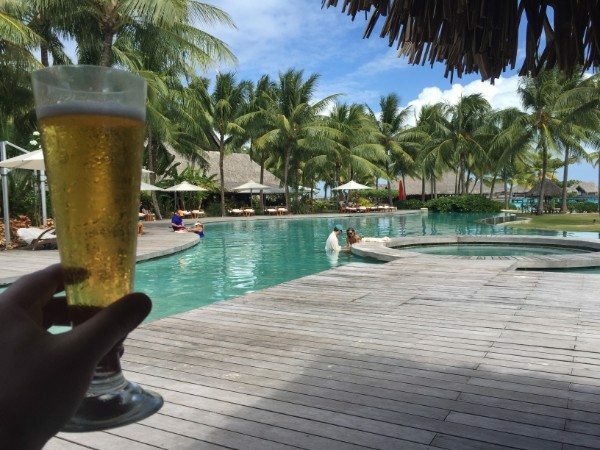 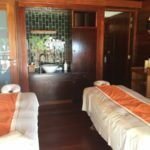 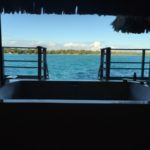 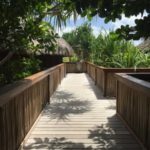 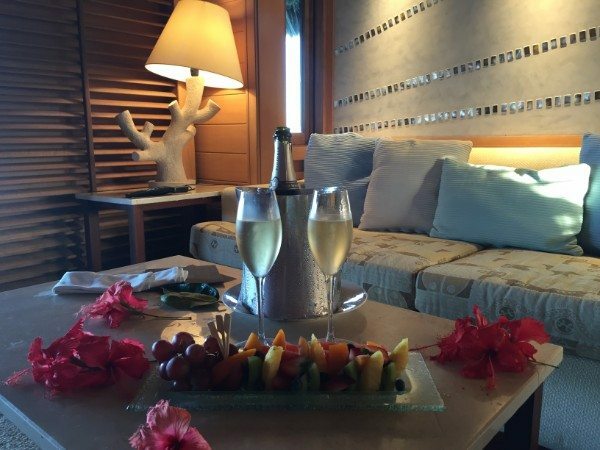 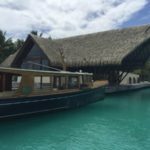 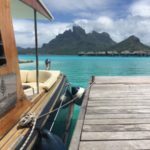 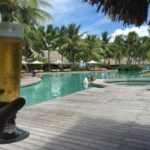 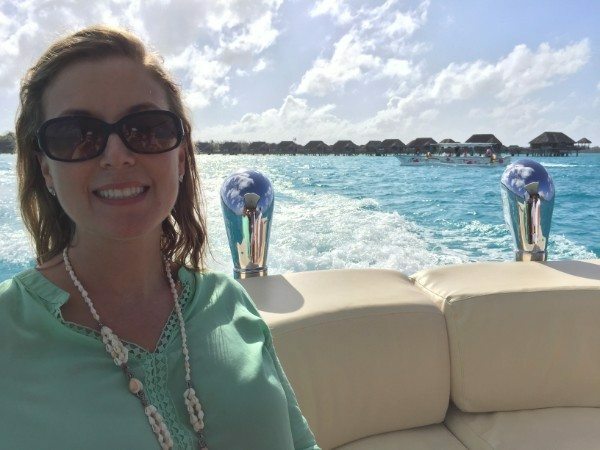 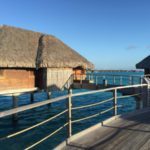 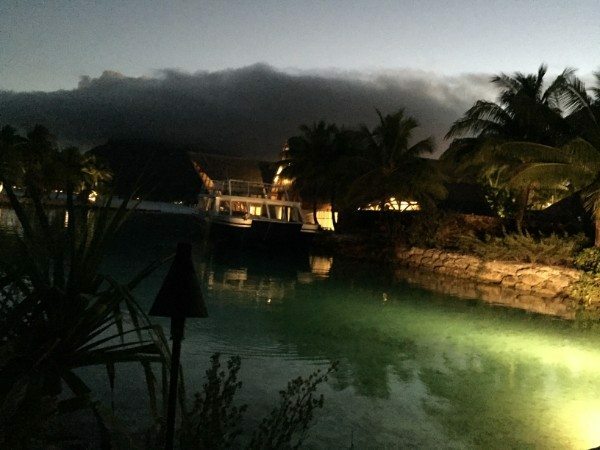 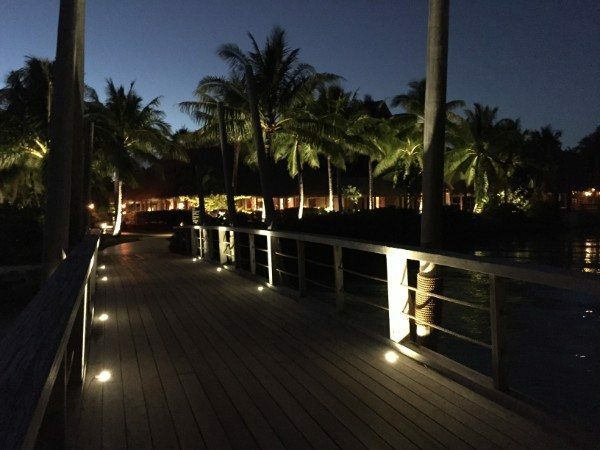 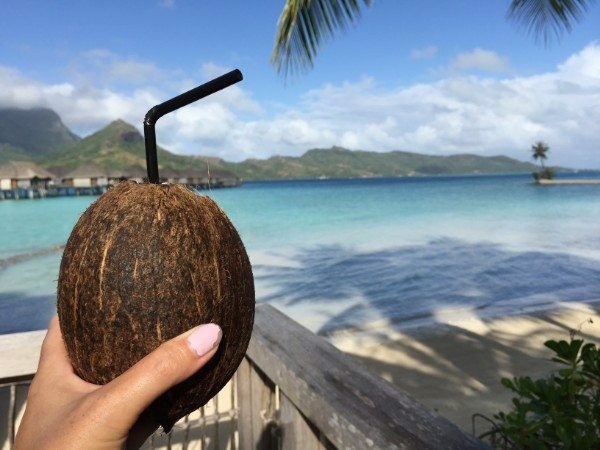 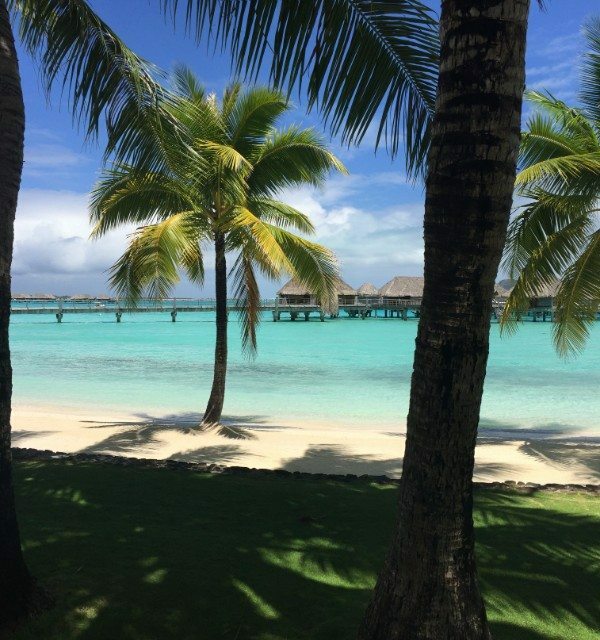 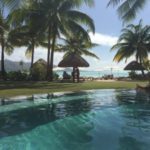 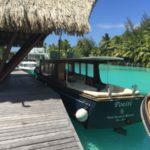 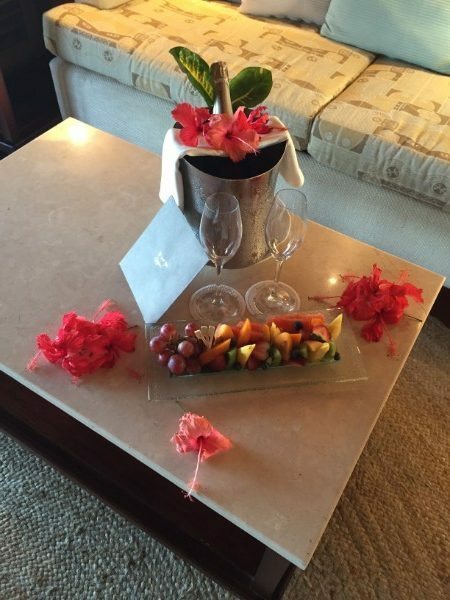 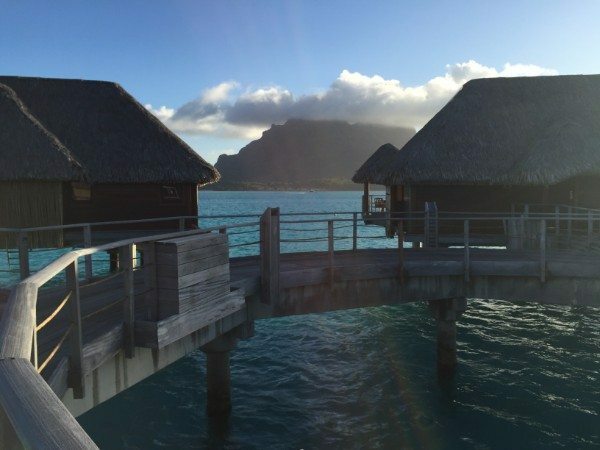 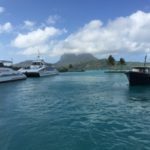 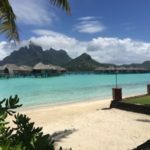 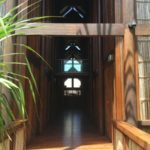 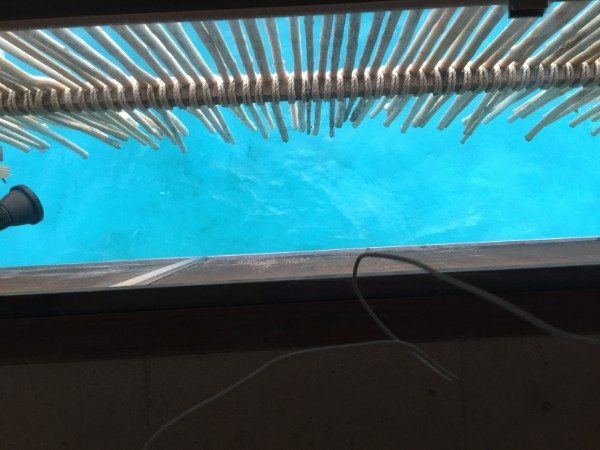 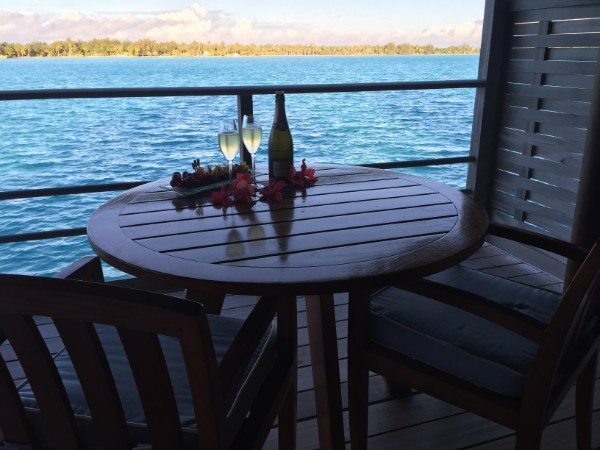 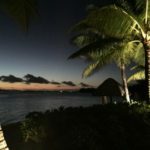 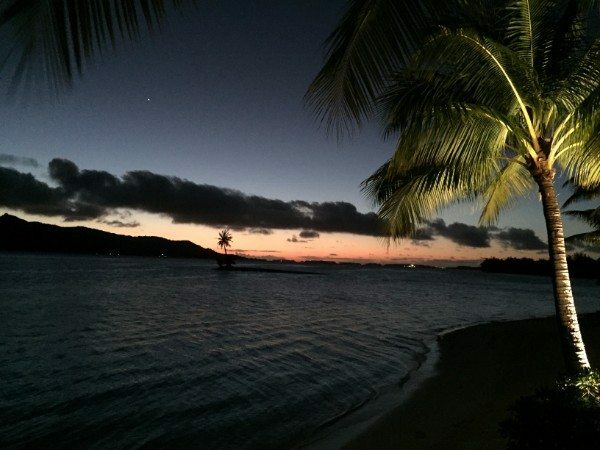 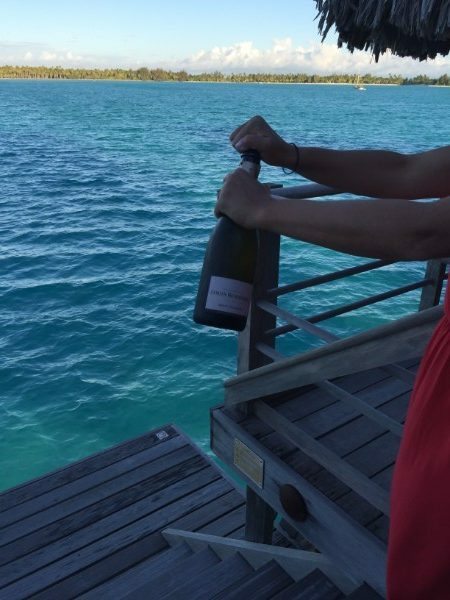 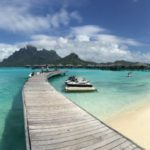 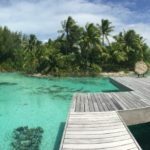 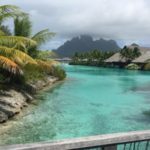 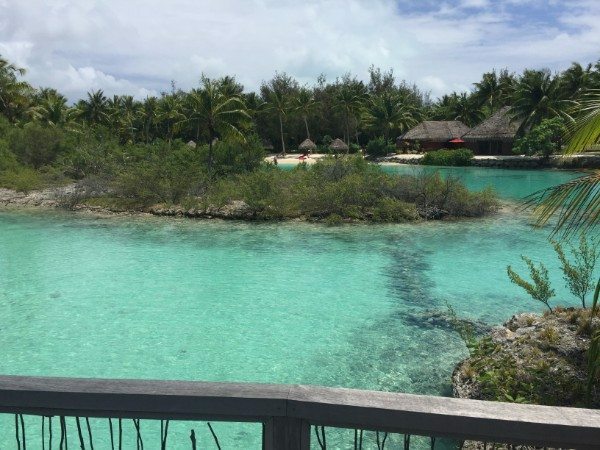 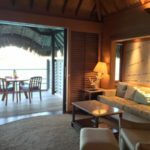 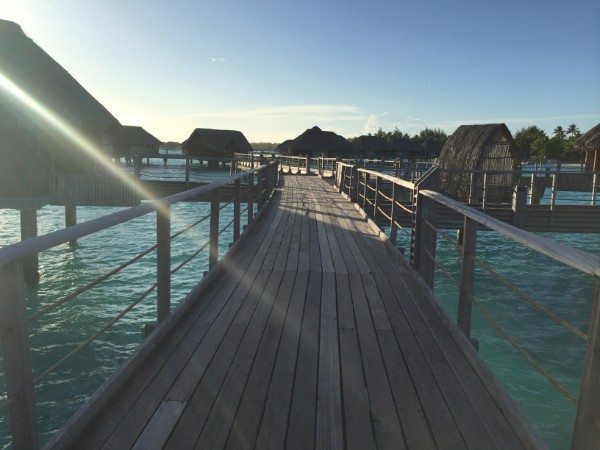 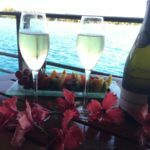 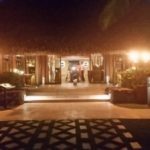 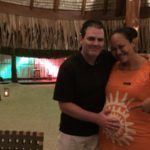 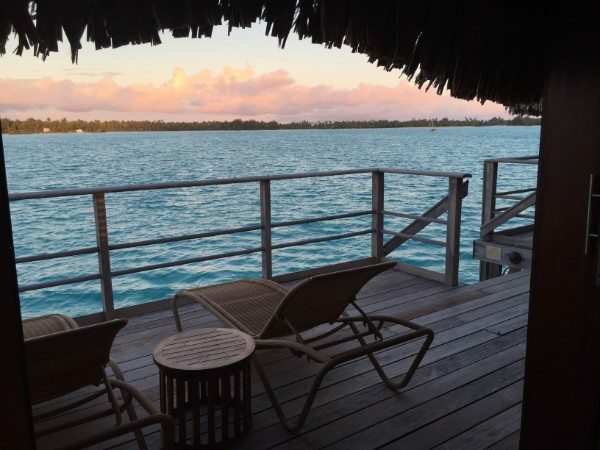 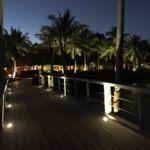 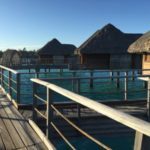 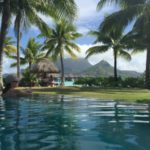 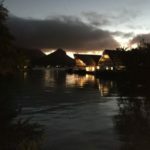 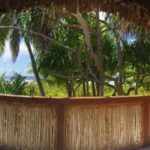 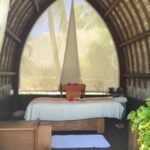 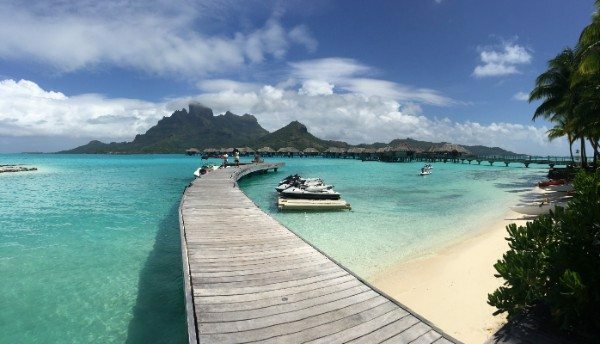 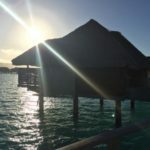 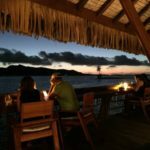 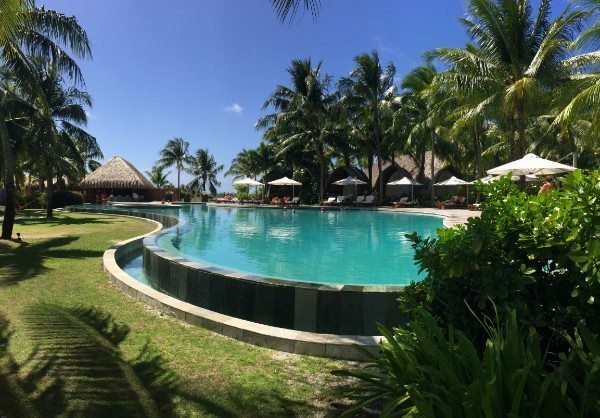 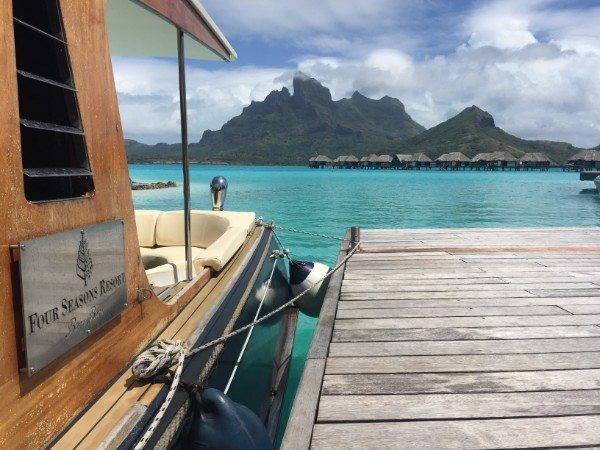 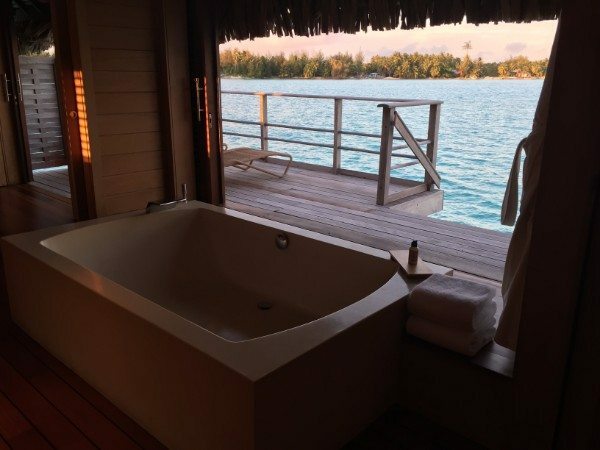 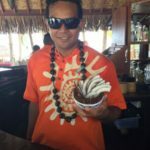 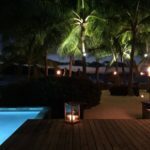 I planned for years to visit The Four Seasons Resort Bora Bora, and thought of all I would do and see in my private overwater bungalow, and walking the property. 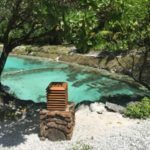 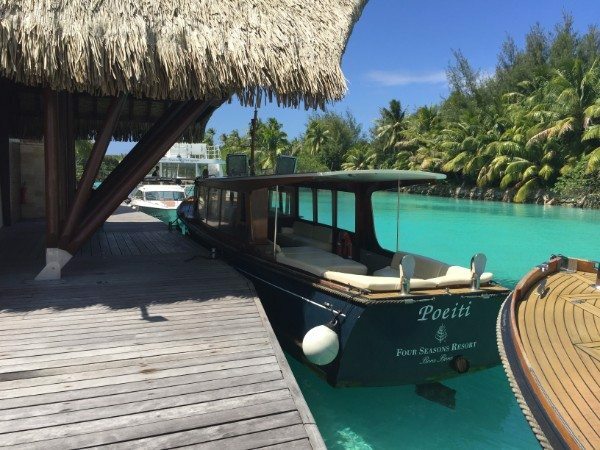 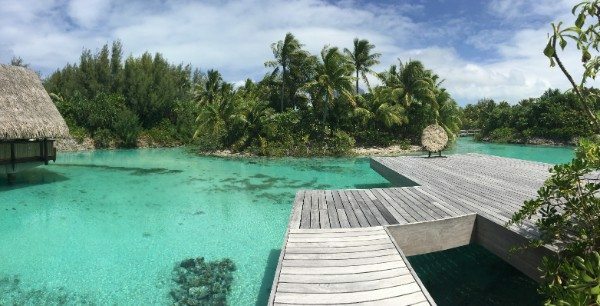 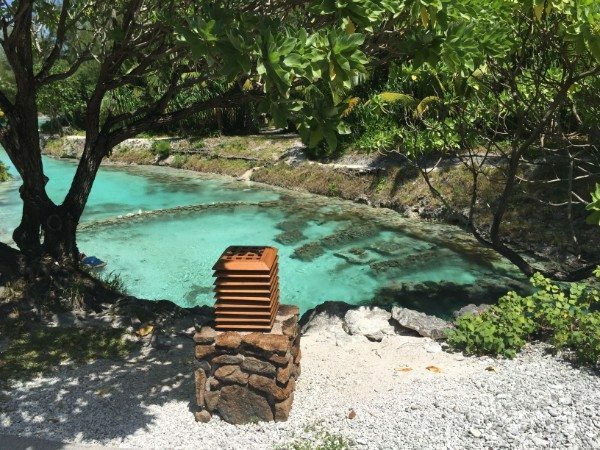 As we floated toward the property for the first time, my sense of anticipation gave way to the pure enjoyment of being in the moment, of taking in the sun, wind, water, and scents of Tahiti. 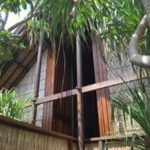 I had – after much time – arrived at the destination I had long sought to visit, and the experience was pure joy. 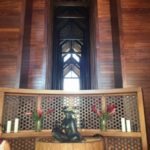 I had arrived, and I would spend each moment savoring the experience, committing as much to memory as possible. 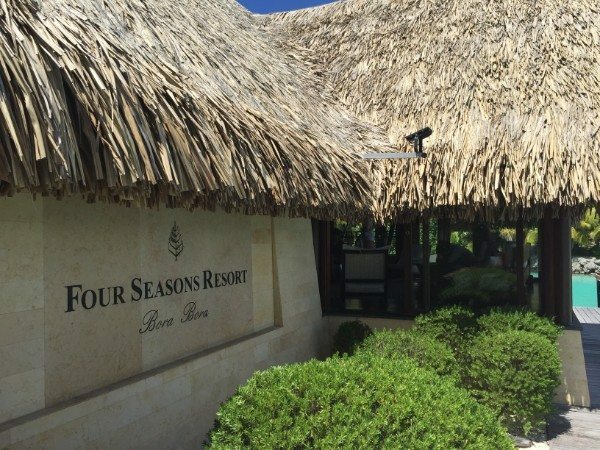 And today, the beauty of the resort is forever a part of my collective life experience. 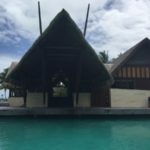 I recommend highly that you create your own bucketlist and plan one day to place a checkmark next to The Four Seasons Resort Bora Bora. 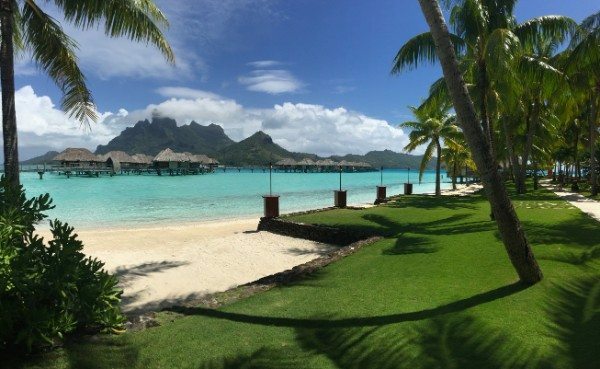 Also, Click Here to view additional high resolution images that show off the The Four Seasons Resort Bora Bora. 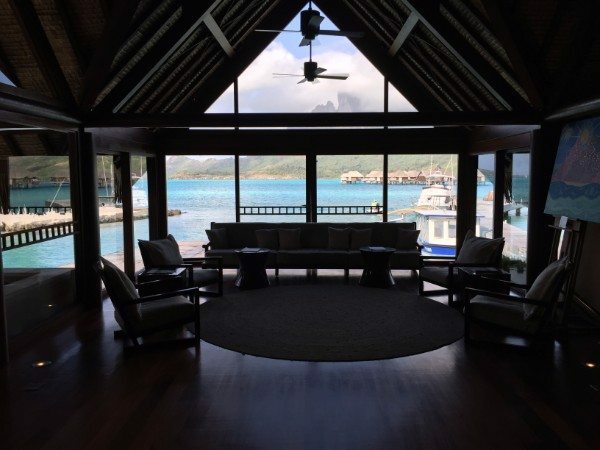 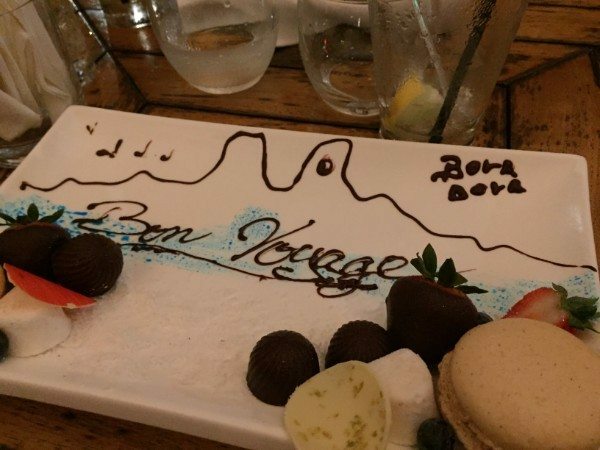 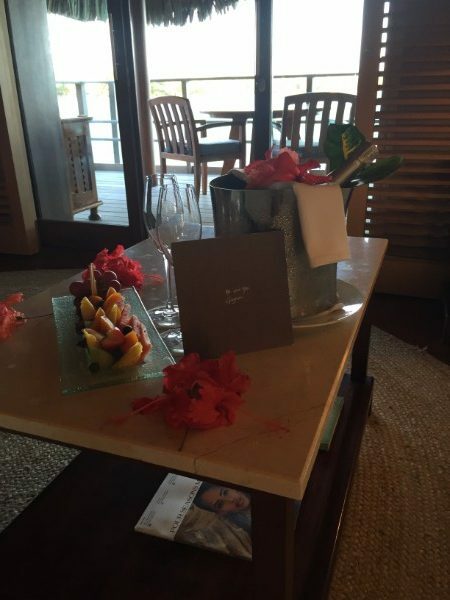 Thanks so very much to everyone at The Four Seasons Bora Bora, especially to Valentin on property. 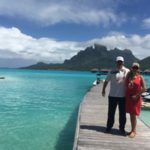 I would also like to thank Brad and his team for making this visit possible, and for the use of some of your high resolution images!